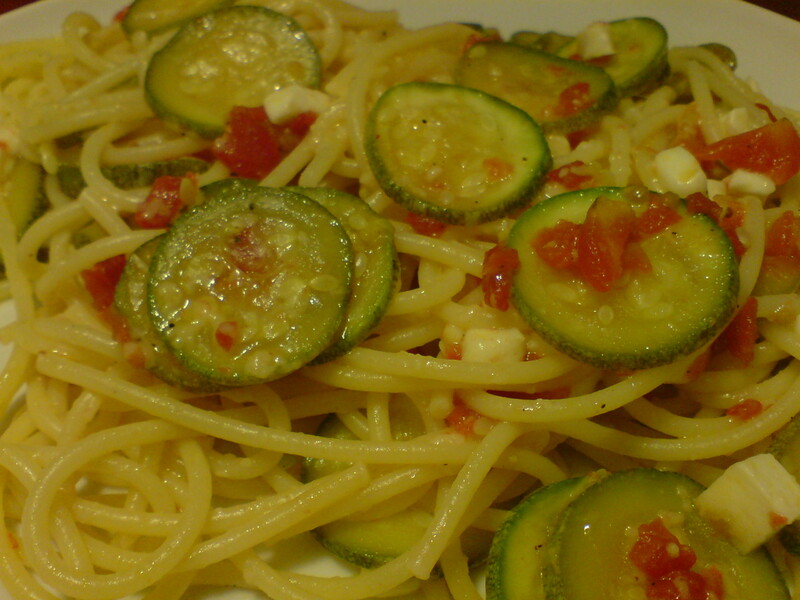 Spaghetti zucchine e gamberetti. I cooked this to use up the leftover prawns from yesterday’s trip to the fish market. Serves 4. 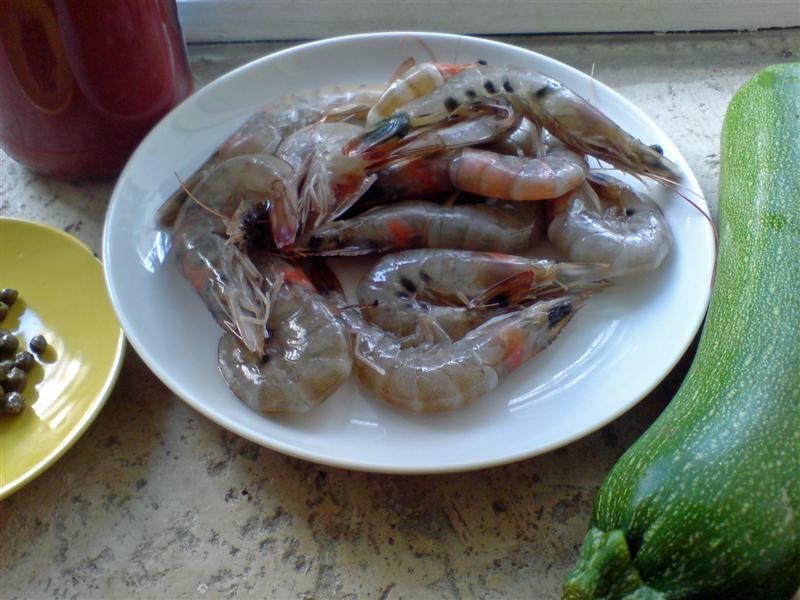 300g medium prawns, legs and antenae removed. 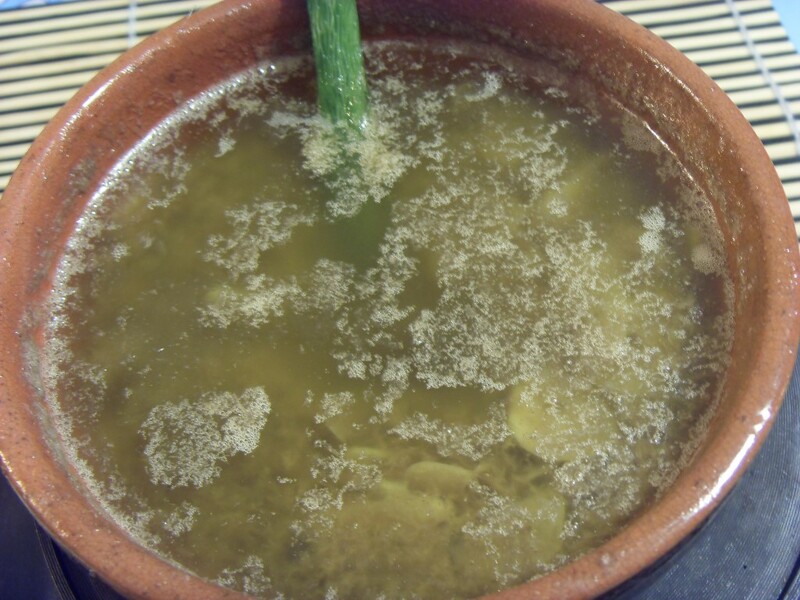 1tbsp capers – soaked for a few minutes and drained. 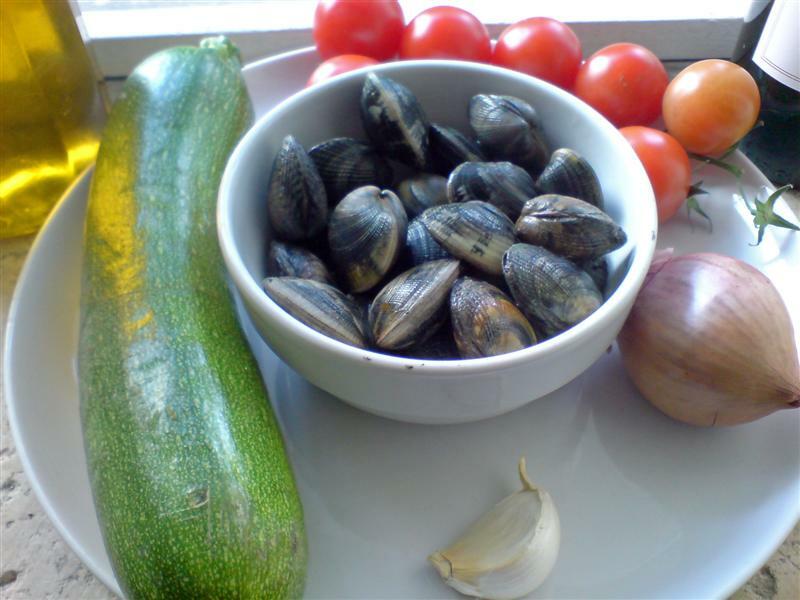 3 small or 1 large courgette -sliced thinly into rounds or quartered lengthways and sliced into quadrants if large. Fry the onion gently in the oil until it starts to soften. Add the tomato sauce, the capers and the thyme. Season with salt and pepper. 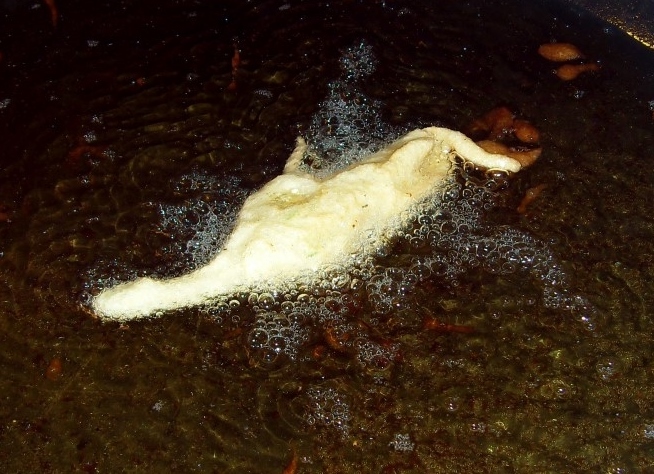 Cook, uncovered, for about 20 minutes. 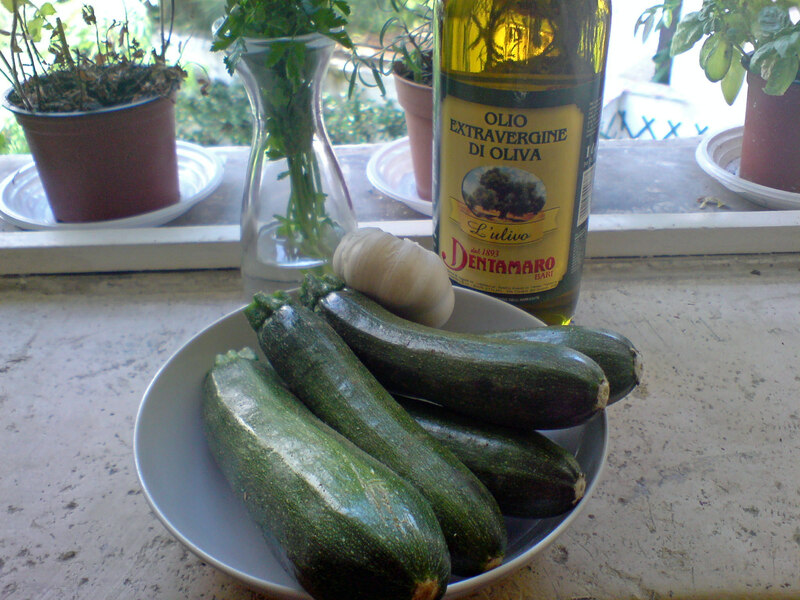 Meanwhile fry the courgettes gently in olive oil until soft. Season with salt and pepper. 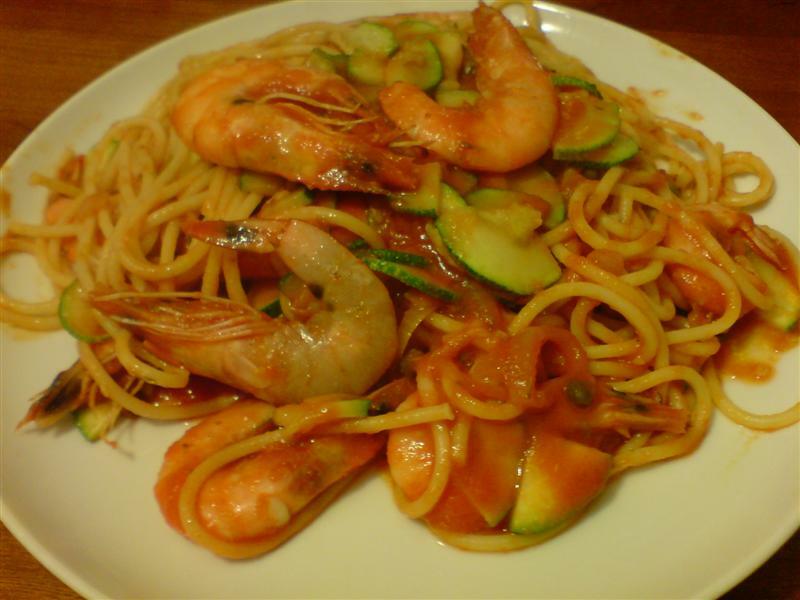 Add the prawns to the tomato sauce and cook for a further few minutes until the prawns are cooked. At the last minute add the courgetttes to the sauce. Meanwhile cook the spaghetti until al dente. Dress the pasta with the sauce and serve. 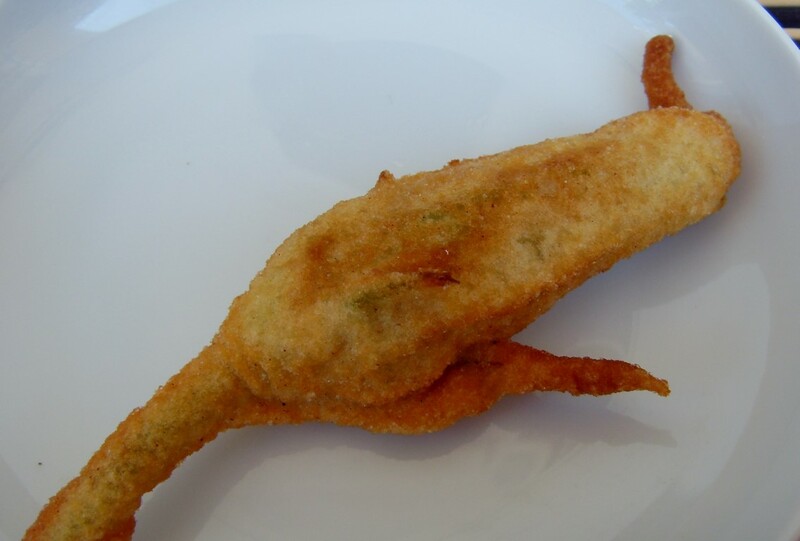 Zucchine alla poverella, versione salentina. 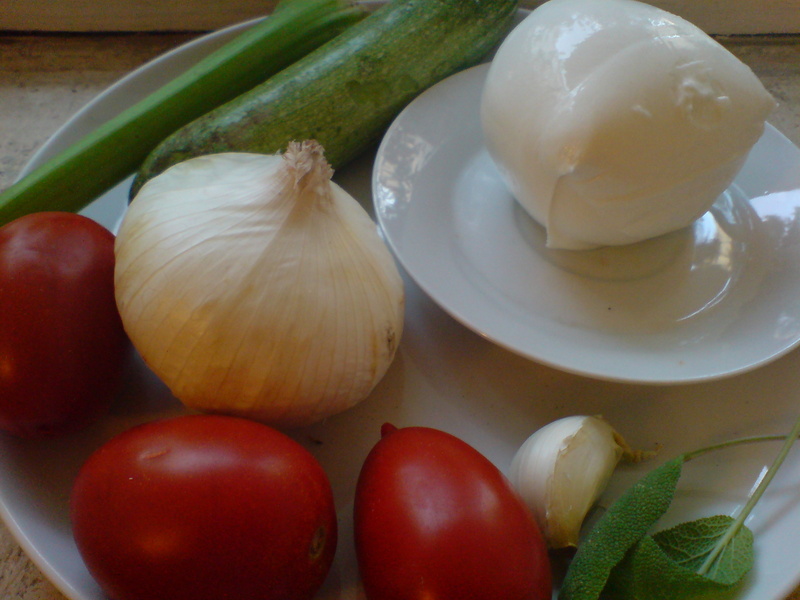 From Salento, Puglia. 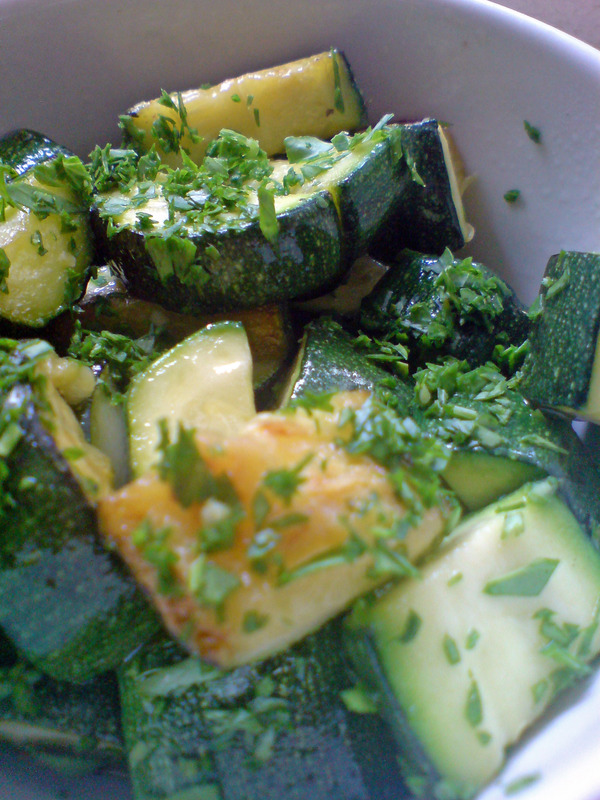 Sprinkle the courgettes with salt and drain in a colander for a while to remove some of their liquid. 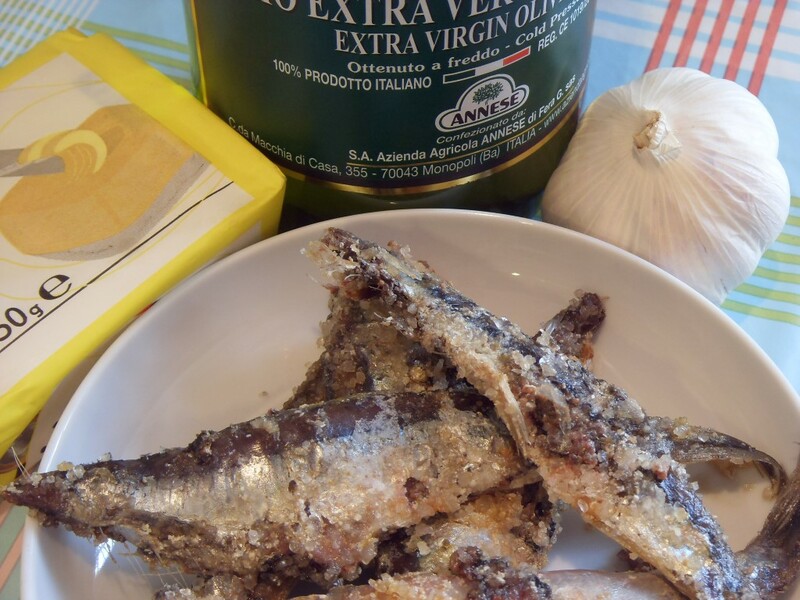 Fry the cloves of garlic in plenty of olive oil until golden. Remove the garlic and discard. Add the courgettes to the pan and fry until done. Note: Shake the pan rather than stirring to avoid the courgettes becoming mushy. Add the courgettes and cook for a few minutes longer. Add the wine and allow it to partially evaporate. 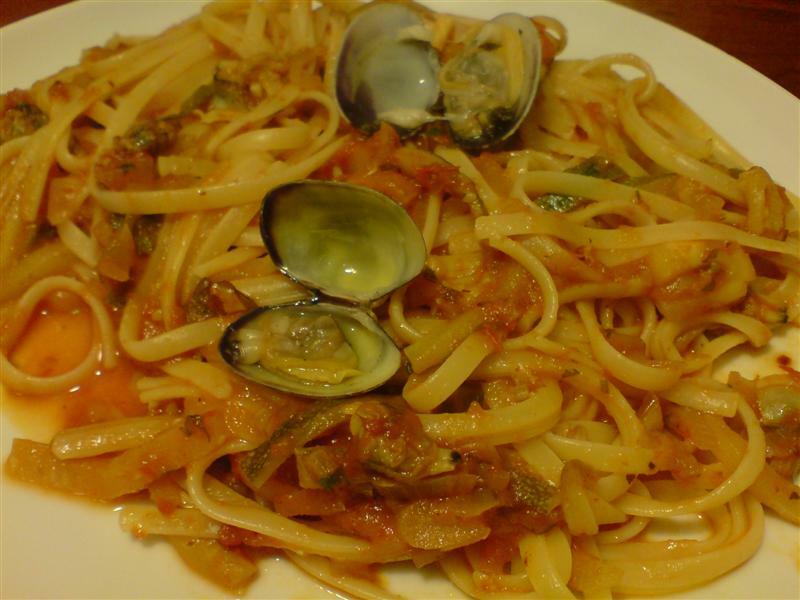 Serve with tagliatelle and parmesan. 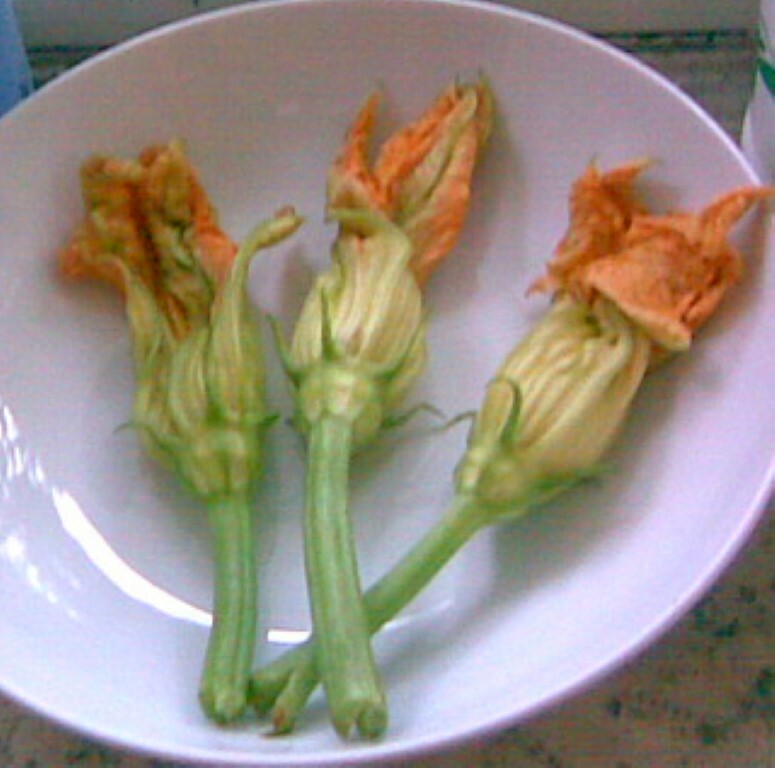 Fiori di zucca fritti. 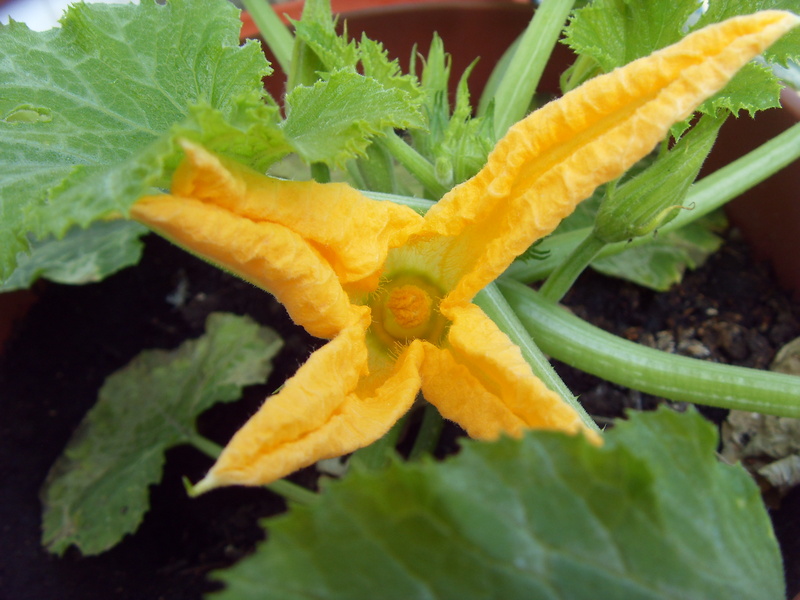 Courgette flowers are just starting to become available in markets in the UK, however, I wouldn’t attempt this dish unless you can get them really fresh. If you grow your own courgettes, you’re laughing . 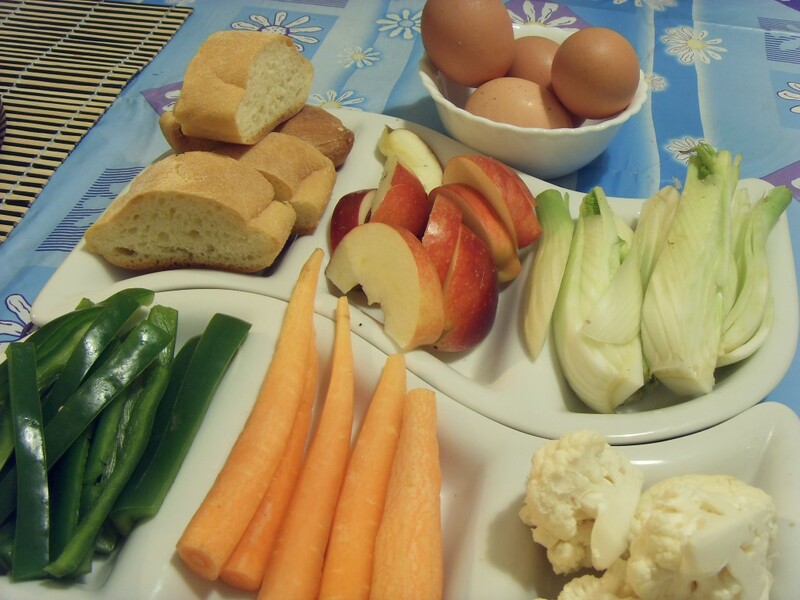 I am growing them in pots on my balcony this year so this recipe will get a lot of use. Mix together the flour, water and salt. 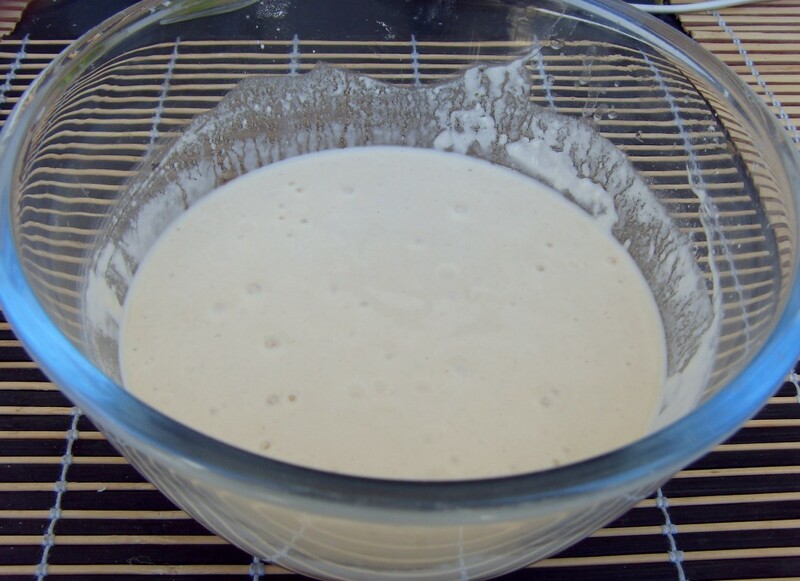 Add enough water to get a consistency of single cream. Leave to rest for an hour or so. Drain on kitchen paper, season with salt and serve immediately.